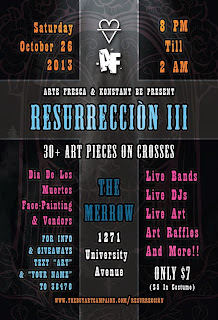 Arte Fresca and Konstant Be are back at it again for the 3rd annual Dìa de Los Muertos (Day of the Dead) Art & Music event! This year over 20 amazing local artists will be creating on hand-crafted wooden crosses--this art is not to be missed. And when you purchase the art you will be saving lives. 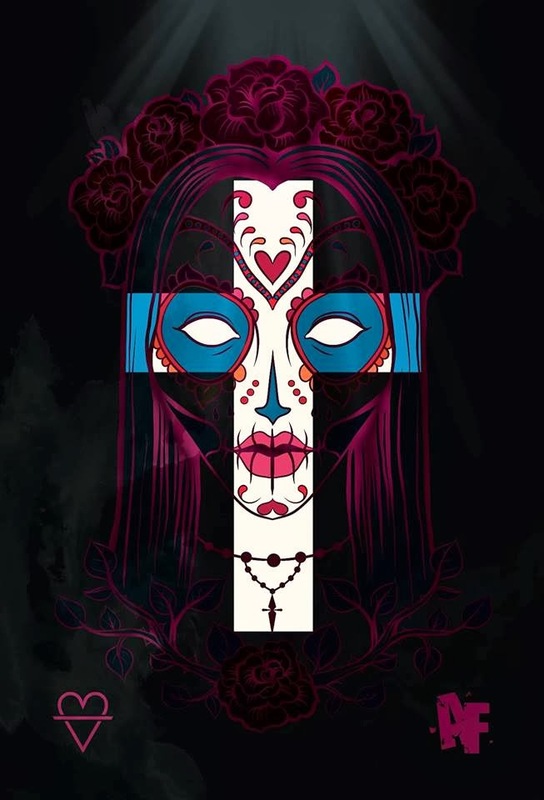 Additionally there will be live art, Day of the Dead make-up artists for face painting, live bands, DJ's, raffle prizes and more. 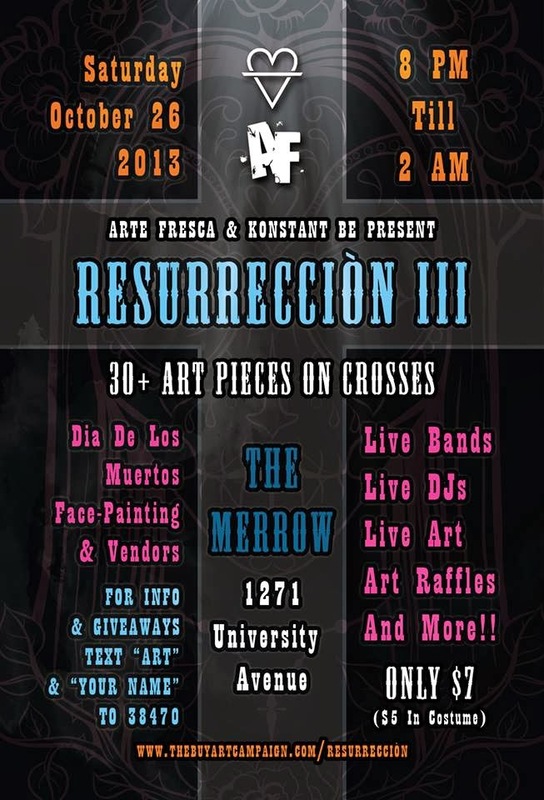 This year this spectacular event is being held at The Merrow (formerly The Ruby Room) 1271 University. It starts at 8:00 p.m. on Saturday, October 26th and closes at 2:00 a.m., Sunday morning, October 27th. There is a $7.00 cover charge, but if you're in costume, the price drops to only $5.00! Face painting will be offered by Elizabeth Pina and Noemi Salvador. Live artists will include Linda Halsey, Danny Peralta, Val Yazon, Hill Young, and Arek Art.